Discussion in 'Non-Segmented Turnings Forum' started by MidwestMan, Jan 21, 2018. 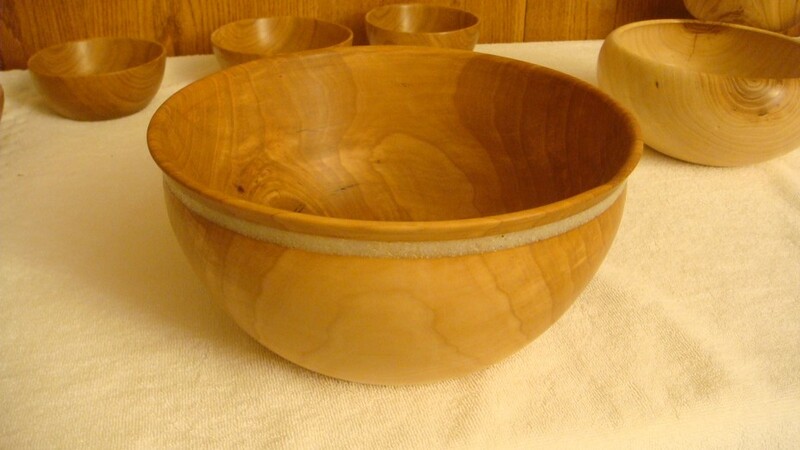 These days, I like making bowls. 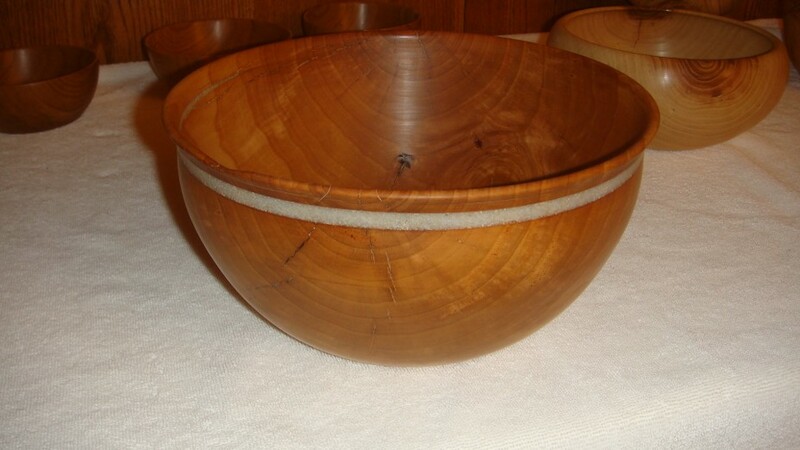 Also... personally, I like seeing the pith in the bowl.. or on rim... cracks and all don't bother me... I like it... the way I see, it gives the bowl character. However, I had a nice hunk of pear wood, that was cracking badly near the rim... so, I optioned to inlay crushed stone, in the part that had "key" cracking. I didn't take a photo beforehand, I wish I had now, because perhaps someone else can learn something from this posting. At any rate, over at "Michaels", you can buy 28 ounces of crushed stone for 4 bucks. Or, of course, you can spend 11 or 12 bucks and buy 1.1 ounces of "Turners Select Crushed Stone Magnesite" at Craft Supplies. However, I did need to use the carbide cutter to turn down the stone from Michaels. Here is the result. The first photo is closer to the actual color. 9½ rim x 4 3/4 Height. Nice touch, I like it. I like it. I have a bowl I would like to inlay turquoise into a sizable crack. The problem I am having is I have seen some really rich looking turquoise inlays into bowls and other items. The size of the stones vary from a little larger to dust. When I got some turquoise inlay material from one of the turning suppliers it seems finer and less bold in color. Most of the turquoise out there is died and not natural. The problem I fear with this material is the beauty only goes skin deep. Once it is crushed it loses its color. Have any of you found a good turquoise material which can be crushed if necessary to get small stones of varying sizes? Any other ideas?